As baseball fanatics, we all have our differences and opinions. We argue about the All-Star selections. We debate over the Hall of Famers. We fight over social media to put forward our opinion, and defend our heroes while trying to analytically dissect the results of a game. It’s grueling but engaging. These arguments show our passion for the sport and our love for the game. We always want more. Hereby, we are about to stir another debate. Why you should buy custom socks rather than pre-tailored ones? We have picked our side and we invite you to swear your allegiance. Let’s get in the debate mood. The palette of expansive colors to choose from as you customize your own socks online, is a distinct advantage when going for custom socks. This is not something that you will get with a pre-tailored purchase. You can only choose from what is there. If you are a fan of Pittsburgh’s Pirates old red and blue socks, the one that the players flaunted back in 1887, it’s almost impossible that you will find it now. Black and gold is the color and that is the only one which you will be able to find in the stock at most stores. It is also about the choice of text or logos. With pre-tailored baseball socks you get a standard logo printed on it. But what if you want to go that extra mile with your support? You don’t have that choice. 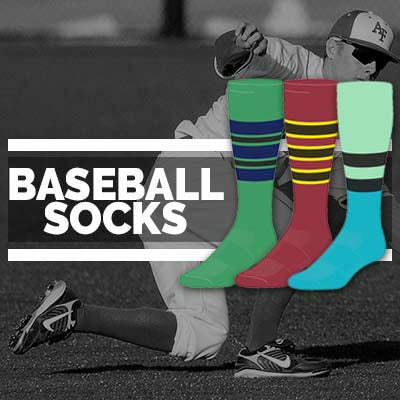 But, with custom socks you have the option to get whatever you want printed on your baseball socks. Our choices with stocks designs are limited. Yes, you can choose the color(s), and probably put a logo on it. However, there are a lot of ways that you can play around with a custom pair of socks, like the sock height, colors, patterns, etc! Sometimes, you just have to describe the design that you have in mind, and we will whip it for you! Also, we have created multiple custom socks designs that you can choose from. Mind you, these babies are also "customizable" according your preference. 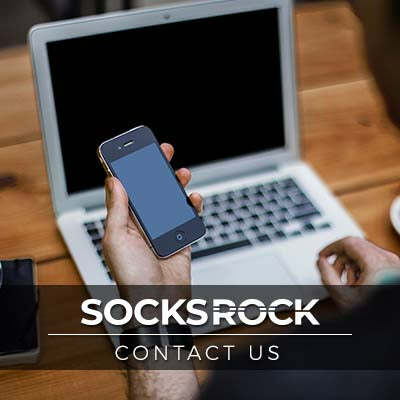 Well, we already said a lot, and it's now time for you to check our custom socks design on our Socks Rock website. Enjoy!